A person’s internal circadian clock regulates many aspects of human biology and behavior, such as metabolic changes, cognition and sleep. It also can influence the timing of acute medical events such as stroke or heart attack. Previous research suggests that the timing of a person’s internal clock may be influenced by specific genes. Investigators from Beth Israel Deaconess Medical Center and Brigham and Women’s Hospital, both in Boston performed a gene association study, comparing the wake-sleep behavior of 1,200 healthy 65-year-olds with their DNA genotypes. They discovered that a single nucleotide polymorphism or SNP (pronounced “snip”) near a gene called Period 1 (PER1) varied between two groups that differed in their wake-sleep behavior. SNPs (pronounced “snips”) are DNA sequence variations that occur when a single nucleotide — A, T, C or G — in the genome is changed, producing different alleles (meaning sequences that code for the same gene). At the site, 60% of subjects had an adenine nucleotide (A) and 40% had a guanine nucleotide (G). Because everyone has two sets of chromosomes, in any given individual, there’s a ~36% chance of having two As, a ~16% chance of having two Gs, and a ~48% chance of having one chromosome with an A and the other chromosome with a G at the site. People who have two As — the A-A genotype — wake up about an hour earlier than the people who have two Gs — the G-G genotype. People with the A-G genotype wake up almost exactly in the middle. In addition, subjects with the G-G genotype had a lower level of daytime Period 1 gene expression in their brains and white blood cells than in people with the A-A genotype. Almost all physiological processes have a circadian rhythm, the approximately 24-hour “body clock“. In fact, there’s even a circadian rhythm of death; in the general population, people tend on average to die in the morning hours around 11 am. When the researchers reviewed people in the study who had died, they found that this same genotype predicted six hours of the variation in the time of death: people with the A-A or A-G genotype died just before 11 a.m., like most of the population, but those with the G-G genotype died on average just before 6 p.m. Working out which causes of death are influenced by gene variants like the one we identified may eventually lead to rational timed interventions—such as taking heart medications at particular times depending on which version of the gene variant one carries—to provide protection during an individuals’ period of greatest risk. The research further suggests that work scheduling and the monitoring of vulnerable patient populations should be personalized to an individual’s genotype. Additional study may help to develop therapies to treat disturbances of a person’s body clock, such as jet lag or shift work. Lim et al. A common polymorphism near PER1 and the timing of human behavioral rhythms. Ann Neurol. 2012 Sep;72(3):324-34. doi: 10.1002/ana.23636. 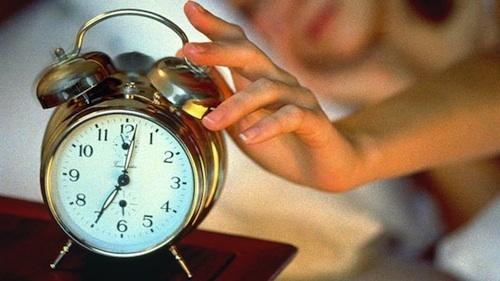 Gene That Distinguishes Early Birds from Night Owls Also Predicts Time of Death. Beth Israel Deaconess Medical Center press release. 2012 Nov 16.